It's not every day that an artist ends a concert by announcing that the band — and part of the audience — has to hustle to catch a train to Montana. That was just one of the moments that made Tuesday night's "Roots on the Rails" tour stop at Chateau Rive, headlined by roots-rock singer-songwriter Dave Alvin, something special. 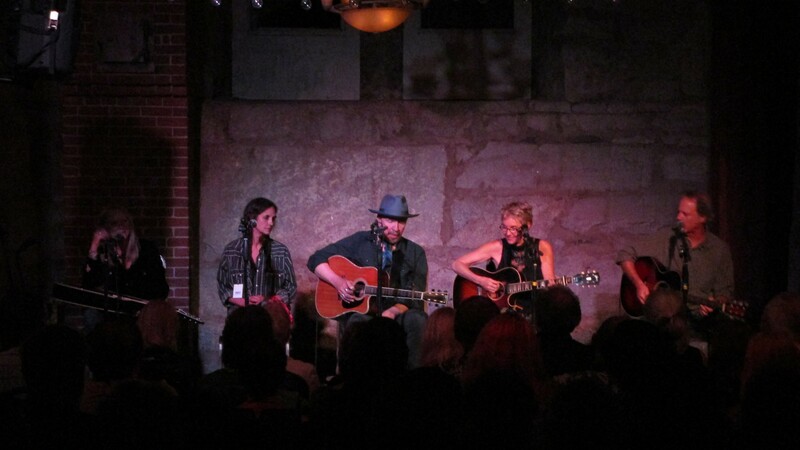 Alvin led a crew of stellar folk artists including Eliza Gilkyson, Rick Shea, Cindy Cashdollar and Christy McWilson through two hours of swapping stories and songs to a packed room in the bottom of the Flour Mill building. The cast of performers rotates at each stop of the tour being done by train, and there was nothing to complain about with Spokane's lineup as each artist charmed with their own songs while jabbing and joking with each other in between tunes. The audience sat in rapt silence for most of the night, respectful of the performers, and the group included a bunch of folks traveling the whole six-stop tour through the West that came to Spokane from Seattle and headed to Glacier National Park for its next show. Among the travelers were 10 who flew all the way from England, and a couple I chatted with were utterly delighted by show's end. As well they should be, given what filled the show. Shea's straightforward folk kicked things off with story-songs like "Mariachi Hotel" and "Sweet Bernadine." He then introduced Gilkyson, who dotted her set with hilarious commentary. At one point, she explained that she was trying to avoid repeating any songs over the course of the train tour, "so I keep going back to earlier and earlier material, from several marriages ago." 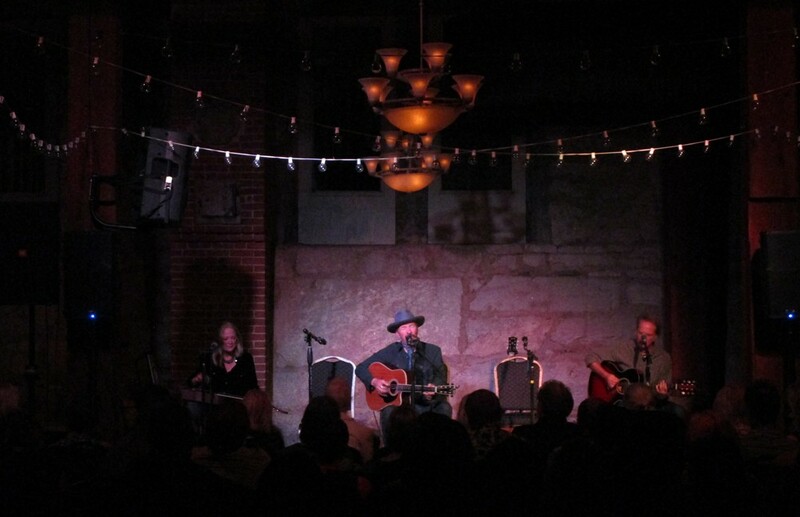 Gilkyson songs like "Blue Moon Night," "The Heart of a Man" and "Think About You" were among the highlights of the night. And she ended her set by noting Donald Trump was campaigning in her Texas hometown Tuesday before playing "Slouching Towards Bethlehem." Alvin then took the stage with dobro and steel guitar player Cashdollar and Shea playing rhythm. "Y'all having a good time?" Alvin asked before launching into "Harlan County Line." Met with a cheer, he added, "Now you're not just saying that because you couldn't get tickets to the Macklemore concert at the Bing Crosby Theater, right?" Over the course of Alvin's set that included stellar takes on "Abilene" and "Old Dry River," McWilson and Gilkyson joined the group so that all the touring musicians were on stage by show's end. "4th of July" was excellent, as Cashdollar's playing in particular shined through. Alvin introduced the last song by saying "When in Spokane, you always have to do a Bing Crosby song," and the group delivered the crooner's 1933 tune "When the Blue of the Night (Meets the Gold of the Day)." Safe to say none of the other stops on this tour got that treat.